The Economic Development of a country primarily depends on the synchronized efforts of both the Industry and the University because the Industry drives the Economic Development and the University fuels it. 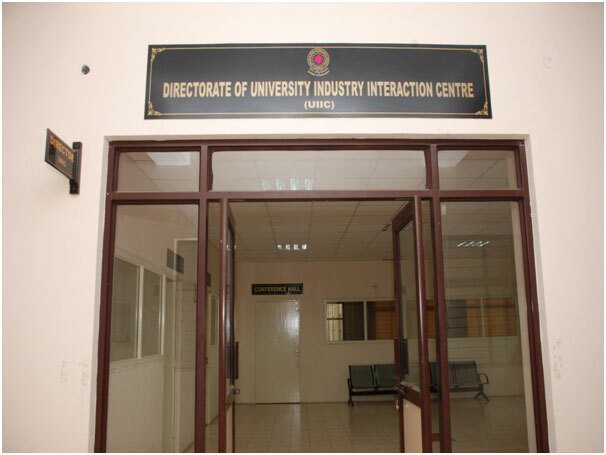 In order to facilitate such synchronized efforts of Industry and the University, JNTUH has instituted a dedicated dais called University Industry Interaction Centre (UIIC). JNTUH-UIIC strives to systematize and catalyze the various joint activities between the Industry and the University. Strive to excel as the best interaction centre in the University system by promoting collaboration between the University and the Industry for imparting quality education and employability skills. Mission Our mission is to act as a catalyst for promoting collaboration amongst academicians, scientists, and industrialists to achieve competitiveness in developing the technical man-power for socio-economic development under the present scenario of global competition and challenges.